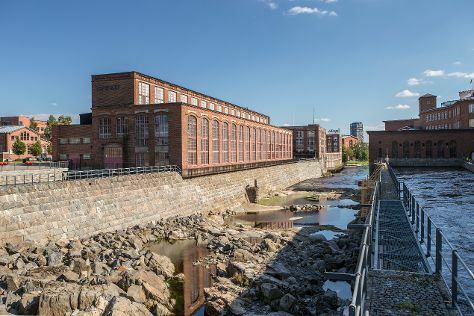 Start off your visit on the 14th (Tue): examine the collection at Mediamuseo Rupriikki, examine the collection at Suomen Pelimuseo, then examine the collection at Vapriikin Museokeskus, then contemplate in the serene atmosphere at Tampere Cathedral, and finally take in panoramic vistas at Pyynikki Park and Observation Tower. To find ratings, maps, traveler tips, and more tourist information, read our Tampere trip app . Detroit, USA to Tampere is an approximately 17-hour flight. The time zone difference when traveling from Detroit to Tampere is 7 hours. Traveling from Detroit in May, expect Tampere to be a bit cooler, temps between 59°F and 39°F. Wrap up your sightseeing on the 14th (Tue) to allow time to take a train to Vaasa. 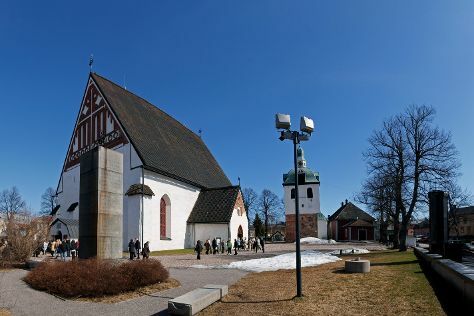 Start off your visit on the 15th (Wed): examine the collection at Pohjanmaan Museo - Osterbottens Museum, examine the collection at Terranova, then take in the architecture and atmosphere at Mustasaaren kirkko, then see the interesting displays at Stundars Museum, and finally see the interesting displays at Vaasa Car & Motor Museum. To see photos, reviews, where to stay, and other tourist information, refer to the Vaasa tour itinerary builder . Traveling by train from Tampere to Vaasa takes 2.5 hours. Alternatively, you can drive; or take a bus. In May, plan for daily highs up to 56°F, and evening lows to 39°F. Finish up your sightseeing early on the 15th (Wed) so you can go by car to Mikkeli. Mikkeli is a town and municipality in Finland. Start off your visit on the 16th (Thu): explore the world behind art at Mikkelin Taidemuseo, examine the collection at Infantry Museum, pause for some serene contemplation at Mikkeli Rural Parish Church, then pause for some serene contemplation at Mikkeli Cathedral, then see the interesting displays at Headquarters Museum, and finally get engrossed in the history at Communications Centre Lokki. For traveler tips, reviews, photos, and tourist information, go to the Mikkeli road trip planning tool . Traveling by car from Vaasa to Mikkeli takes 5.5 hours. Alternatively, you can do a combination of flight and train; or take a train. In May in Mikkeli, expect temperatures between 60°F during the day and 38°F at night. Finish up your sightseeing early on the 16th (Thu) so you can travel to Loviisa. Loviisa is a municipality and town of inhabitants on the southern coast of Finland. Get some historical perspective at Langinkoski Imperial Fishing Lodge Museum and St. John's Church. You'll discover tucked-away gems like Salpa Line Museum and Maritime Centre Vellamo. 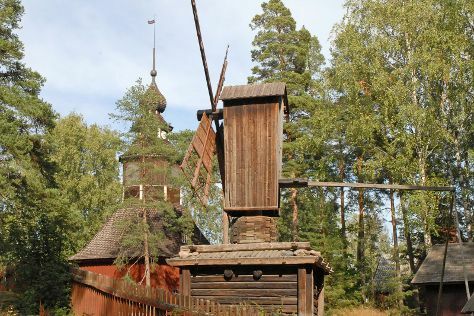 You'll find plenty of places to visit near Loviisa: Kotka (Sapokka Water Garden & Kotka Church), Hamina (Marian Kirkko, Saint Peter and Saint Paul Cathedral, & more) and Bunker Museum (in Virolahti). There's more to do: pause for some serene contemplation at Pyhtaa Church of Saint Henry. To see maps, ratings, more things to do, and more tourist information, read our Loviisa day trip planner . You can drive from Mikkeli to Loviisa in 2.5 hours. Expect a daytime high around 60°F in May, and nighttime lows around 42°F. Wrap up your sightseeing on the 19th (Sun) early enough to travel to Porvoo. Kick off your visit on the 20th (Mon): contemplate the long history of The Runeberg Home, enjoy the sea views from Söderskärin majakka, then get to know the fascinating history of Castle Hill, then take in the spiritual surroundings of Cathedral of Porvoo, and finally make a trip to Porvoo Old Town. For photos, where to stay, reviews, and other tourist information, you can read our Porvoo trip planner . Porvoo is just a short distance from Loviisa. In May, daily temperatures in Porvoo can reach 60°F, while at night they dip to 42°F. Wrap up your sightseeing on the 20th (Mon) early enough to drive to Helsinki. Start off your visit on the 21st (Tue): learn more about the world around you at Natural History Museum (Luonnontieteellinen Museo), hunt for treasures at Hakaniemi Market, then test your team's savvy at popular escape rooms, then admire the masterpieces at Kansallisgalleria, and finally admire the landmark architecture of Pohjolan toimitalo. Here are some ideas for day two: stroll the grounds of Hietaniemi Cemetery, get engrossed in the history at Seurasaari Island and Open-Air Museum, then examine the collection at Helsinki University Museum (Helsingin Yliopiston Museo), and finally take in the exciting artwork at Okra. For where to stay, traveler tips, other places to visit, and other tourist information, you can read our Helsinki trip itinerary planner . Traveling by car from Porvoo to Helsinki takes an hour. Alternatively, you can take a bus. In May, daily temperatures in Helsinki can reach 60°F, while at night they dip to 43°F. Finish up your sightseeing early on the 22nd (Wed) so you can travel back home.